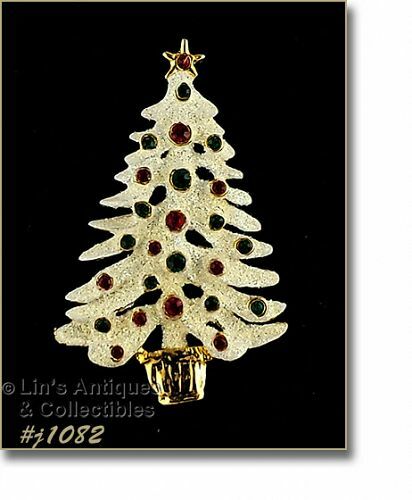 Another adorable Eisenberg Ice Christmas pin – a Santa hat! 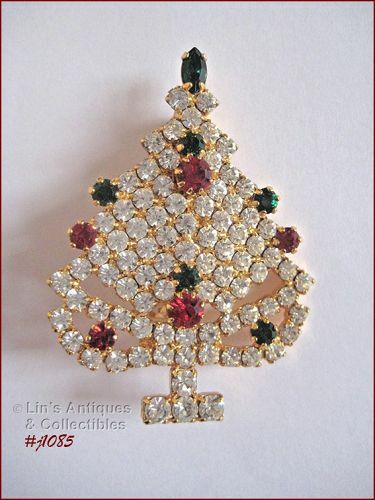 Pin is covered with prong-set red and clear rhinestones and it has a clear rhinestone “tassel”. The extra “pop” on this pin is that the tassel end of the hat has movement! Pin measures 1 5/8” x 1 3/4" wide and is marked Eisenberg Ice. 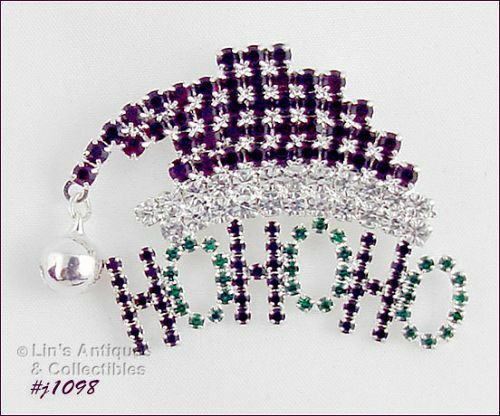 This is a really cute and well made Eisenberg Ice pin – it’s a Santa hat with attached HOHOHO and a jingle bell tassel! 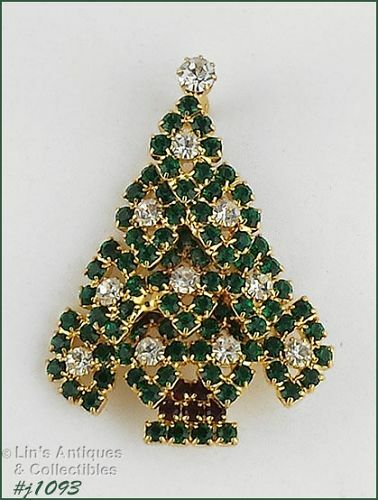 Pin is covered with prong-set rhinestones – red, white, and green. It’s marked Eisenberg Ice and measures 2 1/8” x 1 1/2”. 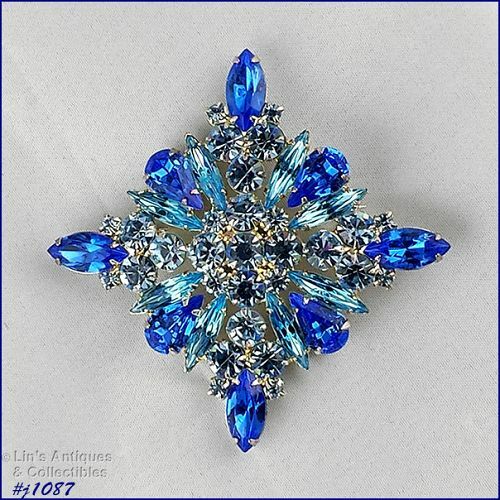 This is an absolutely beautiful Eisenberg Ice pin – it’s an Eisenberg Ice re-issue of an old Eisenberg Originals pin. 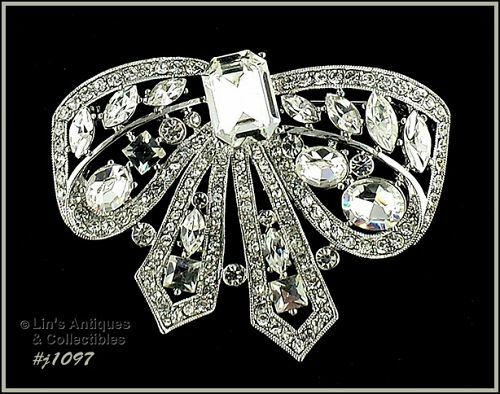 Pin is silver-tone with clear rhinestones and is marked Eisenberg Ice (in script) and dated 2000 (the date is somewhat difficult to see but it is there). 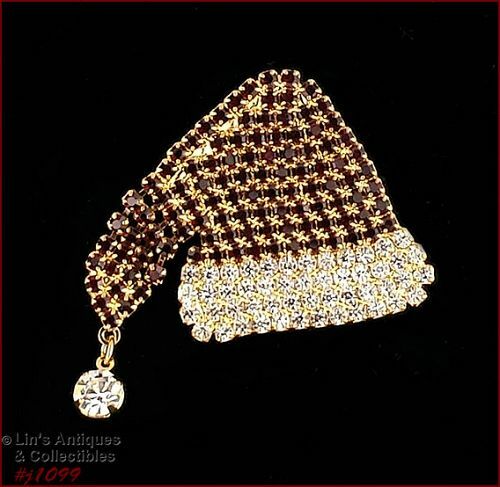 It measures 3 1/8” x 2 5/8” and is new old stock – never worn – destined to become an heirloom piece. 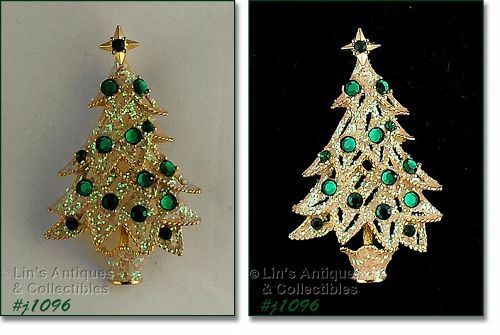 Another beautiful Eisenberg Ice glitter Christmas tree pin – this one has green rhinestones set as “decorations”! 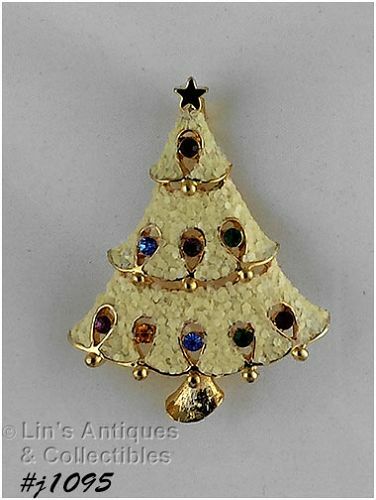 Pin is gold-tone, measures 2 3/8” x 1 1/2" and is marked Eisenberg Ice. 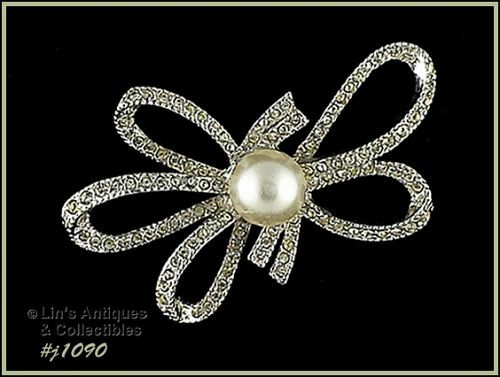 This is such a lovely vintage pin – it’s shaped like a bow! 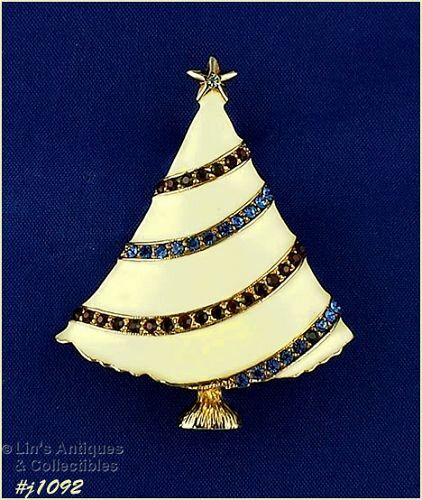 Pin is silver-tone, covered with clear rhinestones, and has a faux pearl center. It measures 2 1/2” x 1 5/8” and back is marked Richelieu. 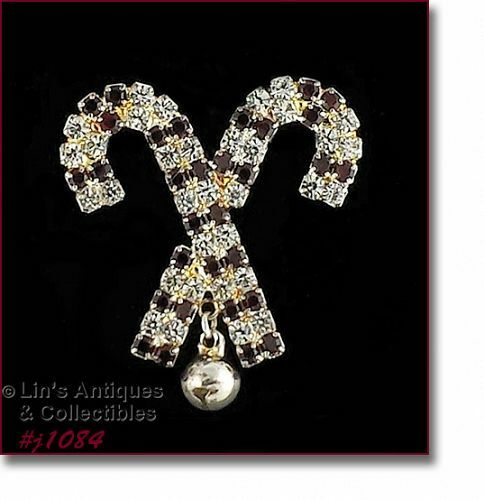 This is a very pretty unmarked 1928 pin! 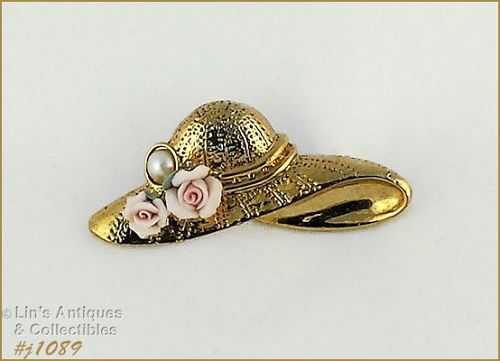 It’s shaped like a summer hat and is accented with single faux pearl and 2 exquisitely detailed pink roses. The pin measures 1 3/4" x 3/4". As with many 1928 productions, the pin is not marked but has the distinctive 1928 scrolls and swirls on the back of the pin. Pin is in excellent condition. 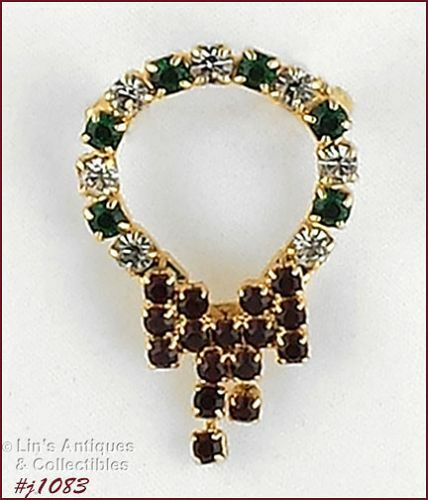 This listing has Yves Saint Laurent vintage earrings! They’re gold-tone and measure 1 1/2" long. The butterfly dangle measures 1 1/4” by 1 1/8” and back is marked YSL. 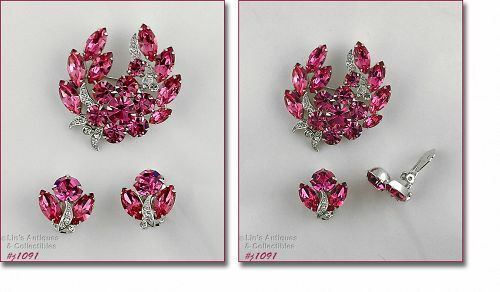 Earrings are clip back style with screw-back tension adjustment. 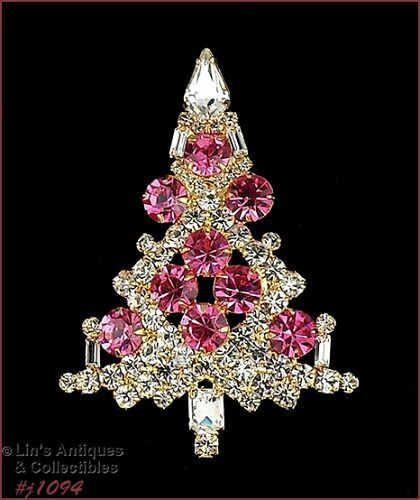 This is a very pretty Eisenberg Ice pin with somewhat unusual styling! 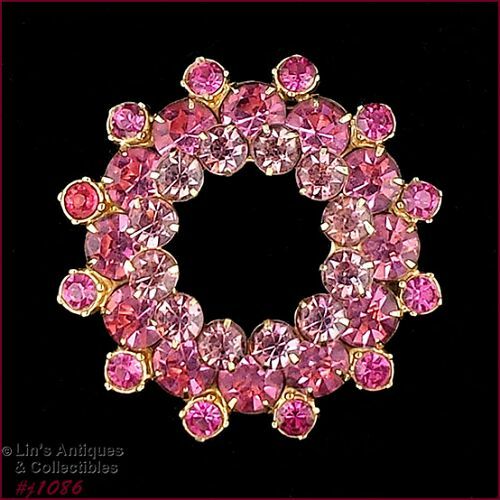 It’s gold-tone, round in shape, and covered with rhinestones in 3 shades of pink.